When the hostile Fire Nation threatens to enslave the Water, Earth, and Air Nations, a reluctant and irresponsible boy must face his destiny as the Avatar, the Chosen One who can restore the world order. This new animated series centers on twelve-year-old Aang, who must forgo his selfish wandering to learn to master his latent powers over the four elements. Only then can he conquer the Firebenders, the evil nation that threatens the world. Water... Earth... Fire... Air. Long ago, the four nations lived together in harmony. But then, everything changed when the Fire Nation attacked. Only the Avatar, master of all four elements, could stop them. But when the world needed him most, he vanished. A hundred years passed and my brother and I discovered the new Avatar, an airbender named Aang. And although his airbending skills are great, he still has a lot to learn before he's ready to save anyone. But I believe Aang can save the world. This is a anime style cartoon that kids and adults will enjoy watching. It really is one of the best cartoon show I seen in a while, there is little to almost no flaw to this show. I really wished it was longer though, instead of just 3 seasons. It really is a memorable adventure, which has many elements that will keep your attention from beginning to end. Plus just about every characters in this show is memorable and not just the main characters either, and for a bunch of cartoon characters I actually cared about what happens to them. One of the best animated series I seen, and I highly recommend anyone that enjoys a good story in a cartoon to watch this amazing show. 9.3/10 "Avatar" is very different from the many noneducational shows on Nickelodeon. It's like fake anime, and there is romance, violence, and scandal in this unique show. Some of the episodes are a little inappropriate, with animal abuse and and kissing. The episodes are very intense, and the music to the show goes perfectly with the action in the show. I think the show is kind of weird, but the fantastic art really makes me watch the show more than anything. The idea for the show is also quite unique, where our modern day world is transformed into a whole different kind of world, divided into four different nations, that all bend either fire, water, earth, and air. The Legend of Korra debuted on Nickelodeon in USA on Saturday, April 14, 2012 at 11:00 a.m. (ET/PT) with back-to-back episodes, with regular timeslot on Saturadays at 11:00 a.m. (ET/PT). The arrow tattoos are thought to have originated as a sign of respect for the original Airbenders, the Sky Bison. An Airbender earns his or her arrow tattoos by mastering all 36 tiers of Airbending, or by mastering 35 and creating a new Airbending technique. Aang earned his by inventing the technique he calls the "Air Scooter". Yes In the commentary of the DVD of the last episode of the series the creators stated that after he defeated the Fire Lord and his eyes flashed the avatar state for only second he had become a fully realized Avatar Fire Lord Ozai confirmed that he banished Zuko's mother and that she may still be alive, but it is unsure. 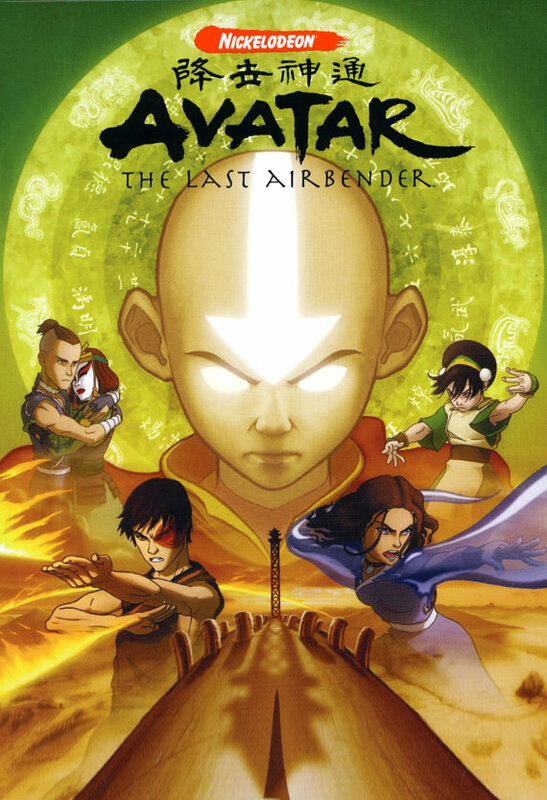 In the series finale, Fire Lord Zuko questions his father on the whereabouts of his mother, but the series ends before it is confirmed that she was found. Zuko finding Ursa was actually storyboarded for the finale by Avatar Director Joaquim Dos Santos, but was nixed by Mike DiMartino - not really sure why but this implies that Ursa most likely is alive. In 'The Legend of Korra' the children of Tenzin asks their grandmother, Katara, to tell the story about Zuko's mother, although she was willing to tell the full story, she got interrupted before telling the story. However, a comic titled 'The Search' was released by Nickelodeon in 3 parts in 2013. The events take place between the end of 'Avatar: The Last Airbender' and 'The Legend of Korra'. We learn that Ursa, Zuko's mother, returned to her home village of Hira'a after being banished by Ozai. There she found the man whom she was engaged to, Ikem, before being taken away to become Ozai's wife. She then learns of a spirit named The Mother of All Faces, and searches for her to receive a new face, and the spirit also removes almost all memories of her past life. When Zuko learns who his mother is now and finds her, The Mother of All Faces returns Ursa's original face and memories.